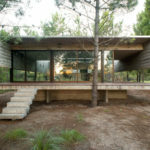 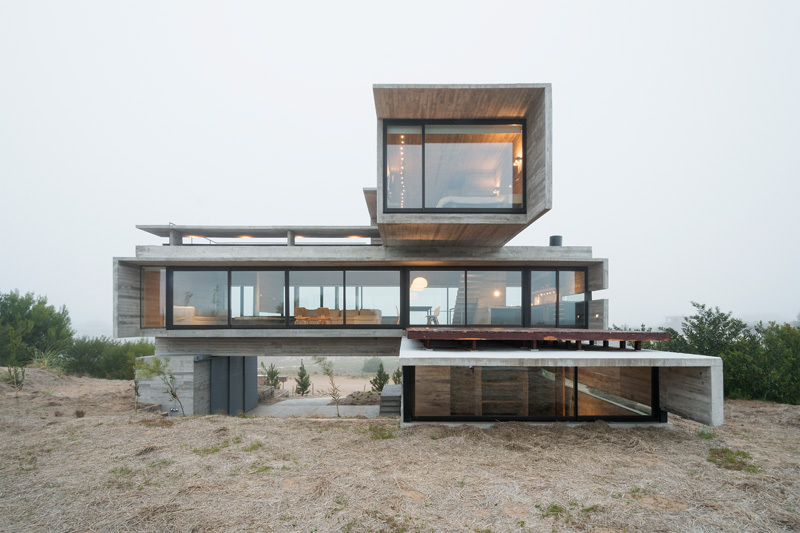 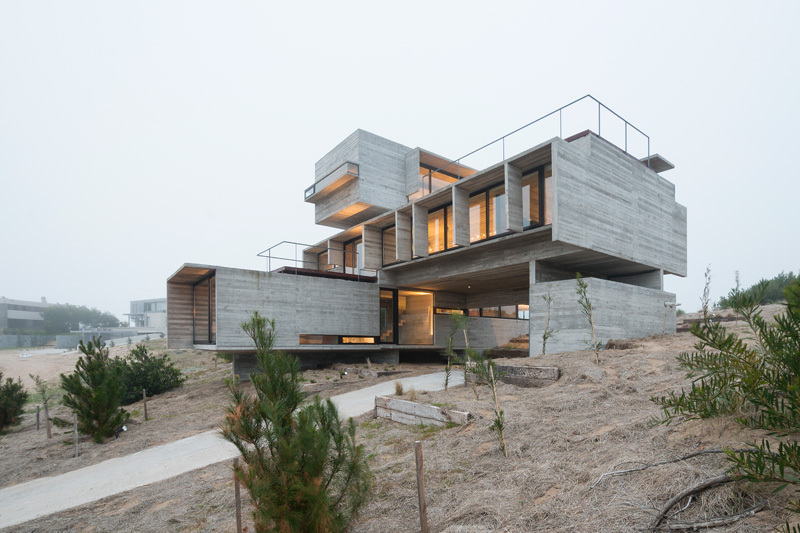 Architect Luciano Kruk, has designed a house located just north of the coastal town of Pinamar, in Buenos Aires, Argentina. 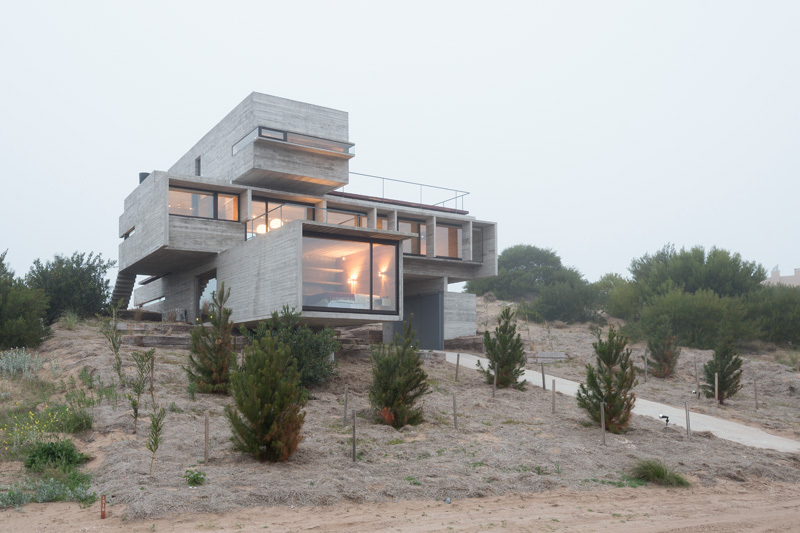 The home is built overlooking a golf course, on a somewhat sandy dune. 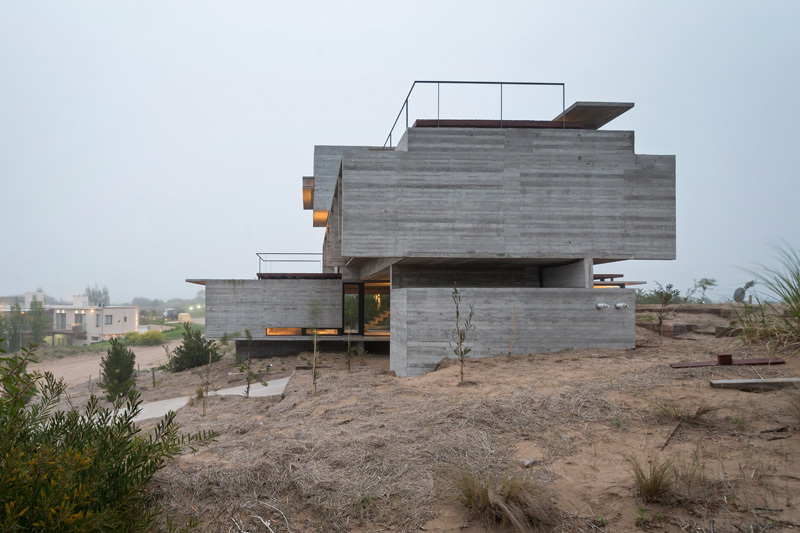 The home has multiple levels, with some aspects of the home being half buried into the sand dune. 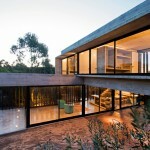 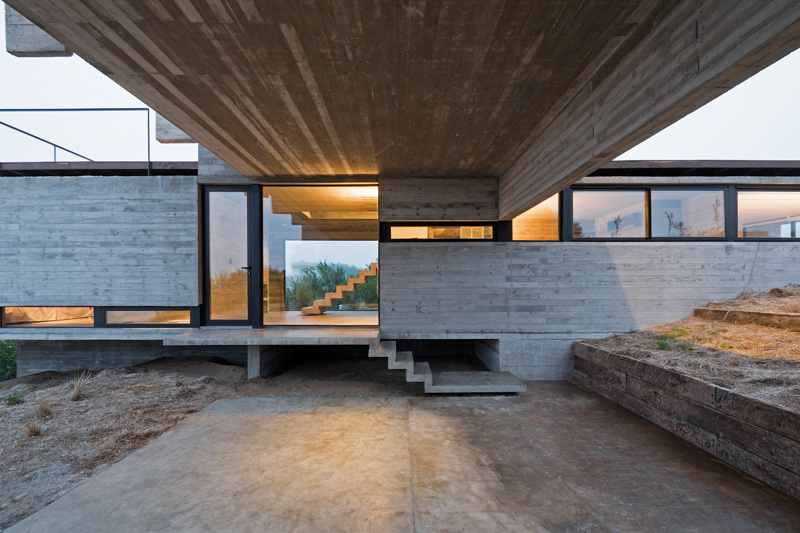 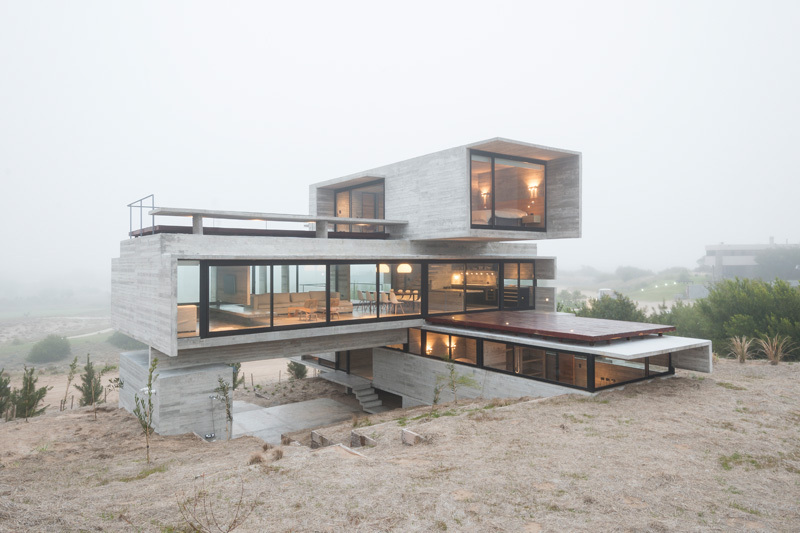 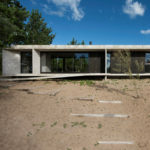 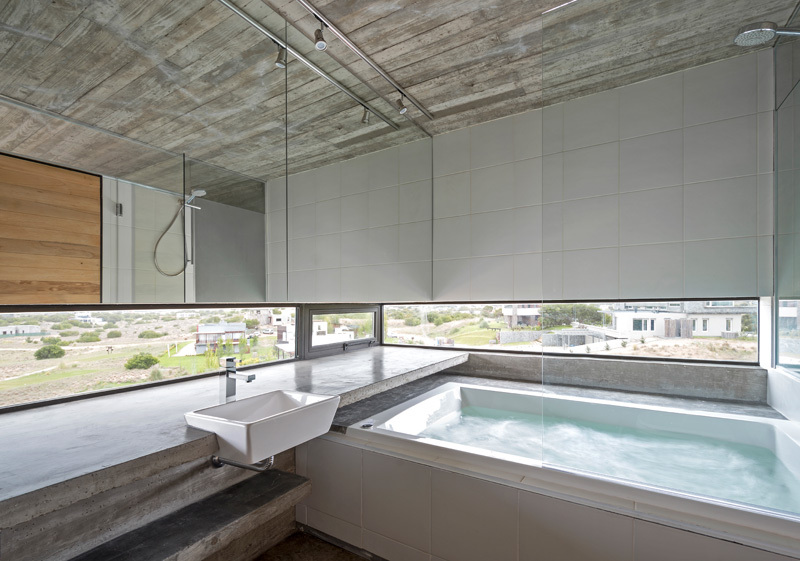 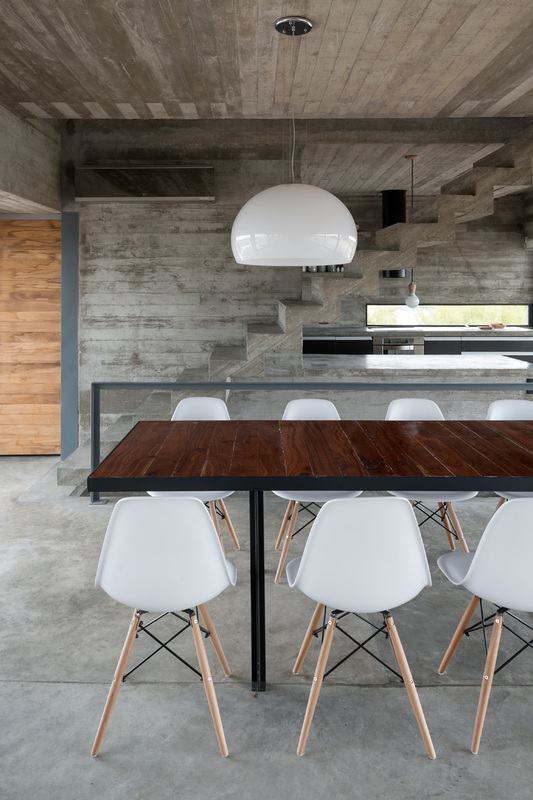 The architect designed the house to be built from concrete, and kept it unfinished throughout the home, inside and out. 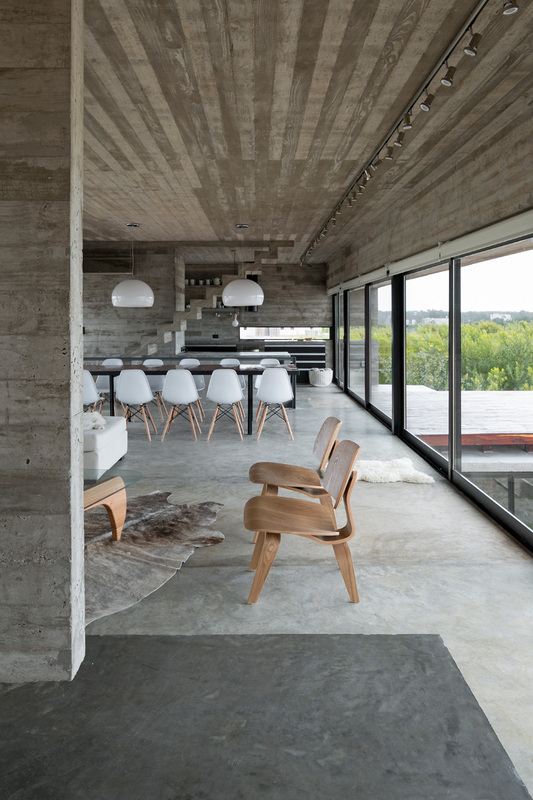 Inside, a neutral color palette allows the views to take center stage. 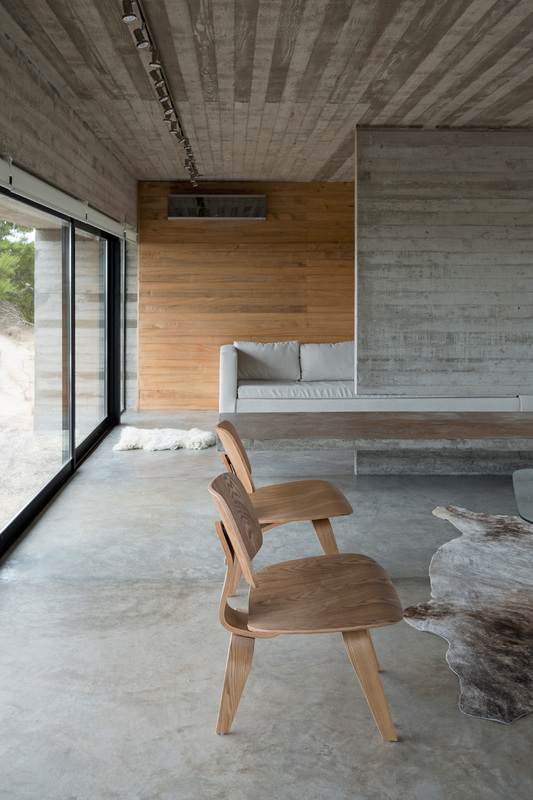 Touches of wood break up the concrete. 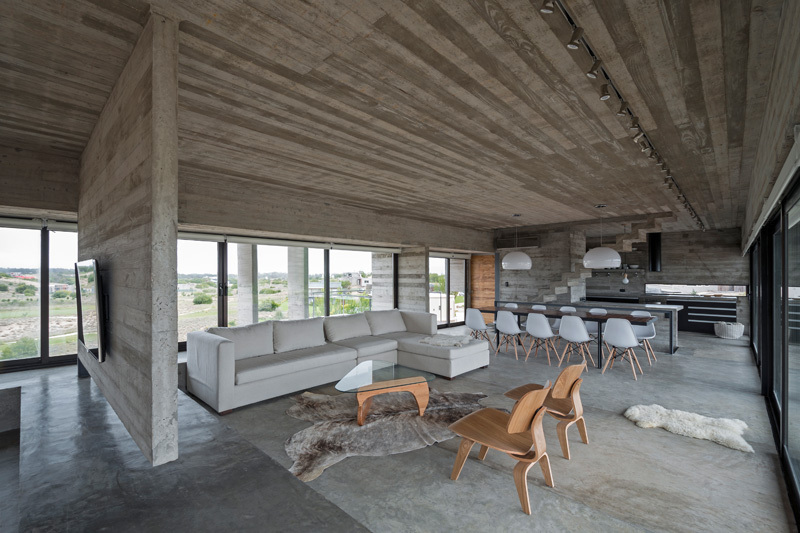 The home features a somewhat open living floor plan. 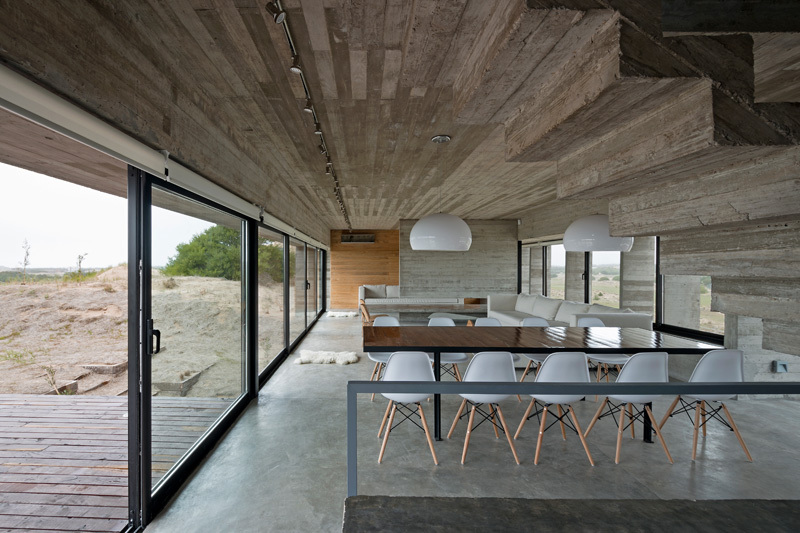 There is a clear sight-line from the living room, to the dining room, to the kitchen. 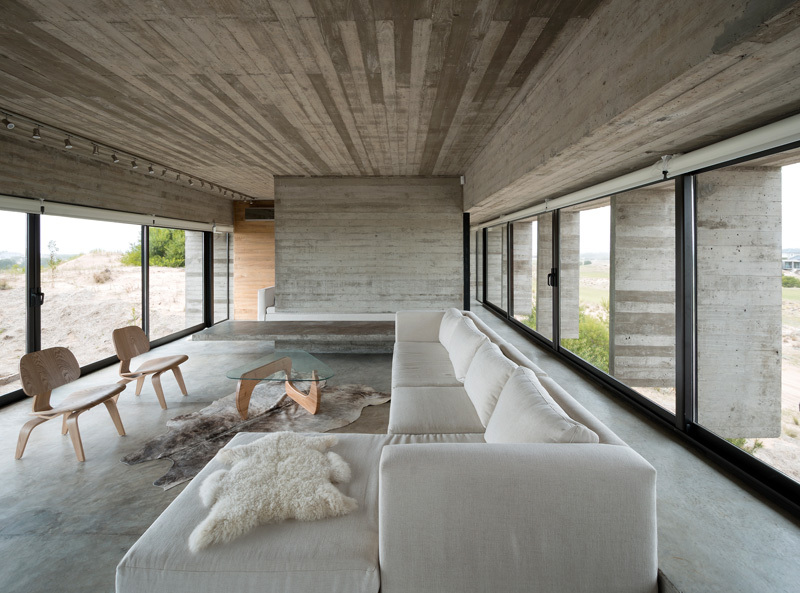 Walls of windows on both sides, brighten the entire living space. 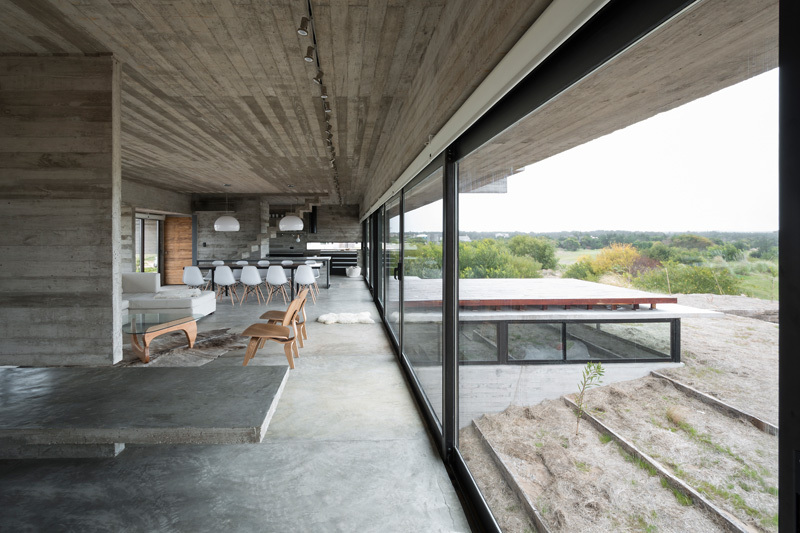 There is a deck just off the main living area, that can be accessed through multiple doors. 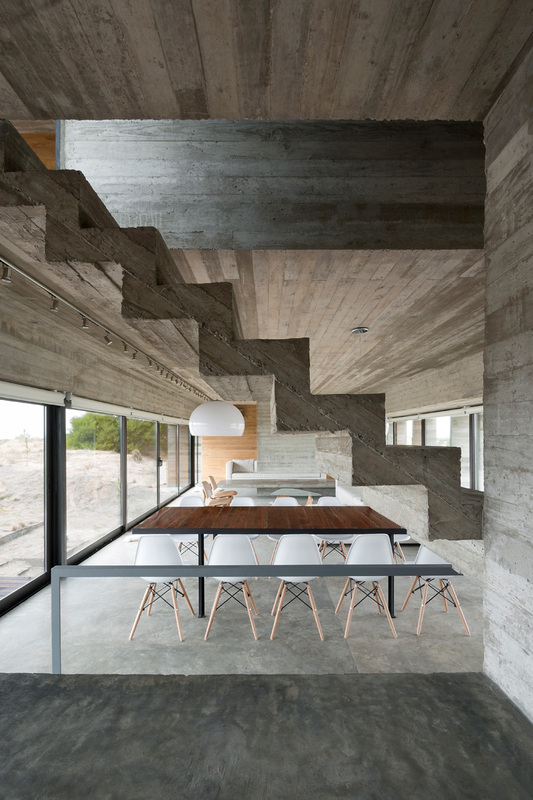 Here is a close-up look of the stairs in the home. 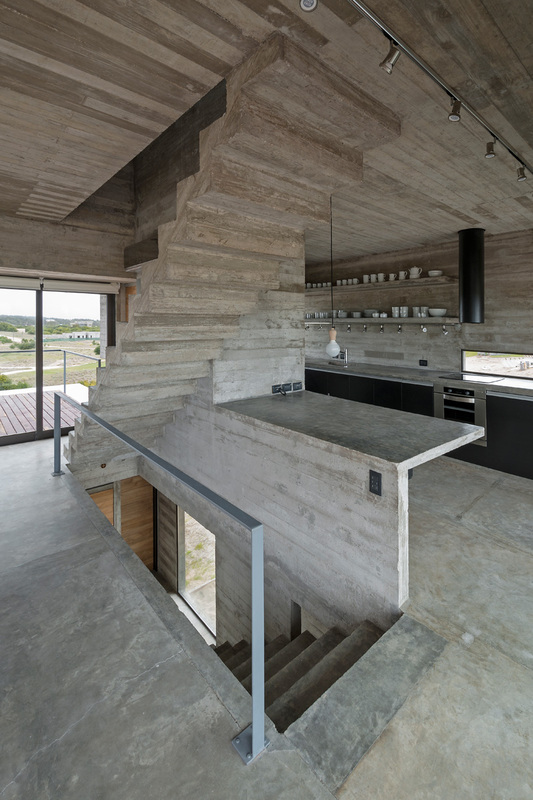 Just under the stairs is the kitchen, it too has concrete used as its countertops. 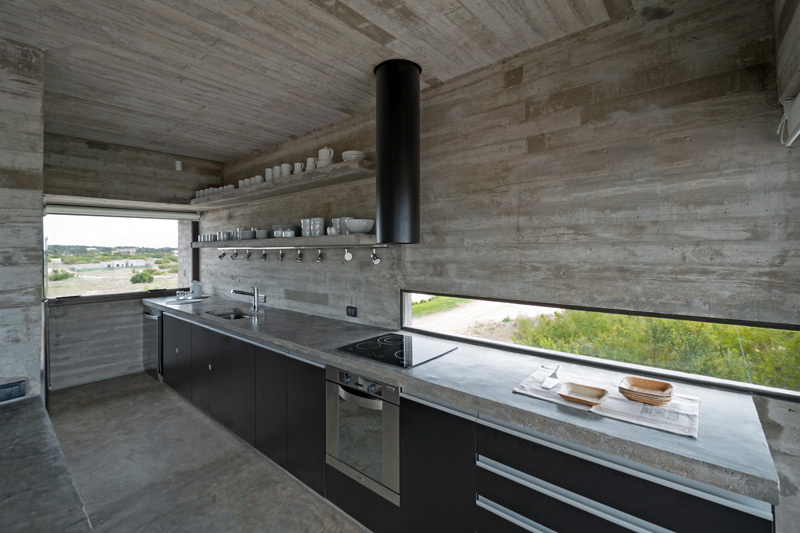 The kitchen is home to open-shelves and even more windows. 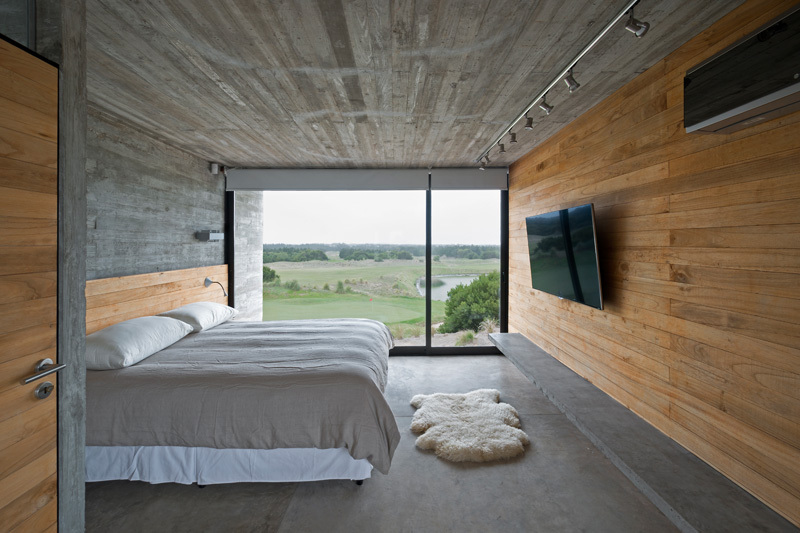 This floor to ceiling window perfectly frames the view of the golf course. 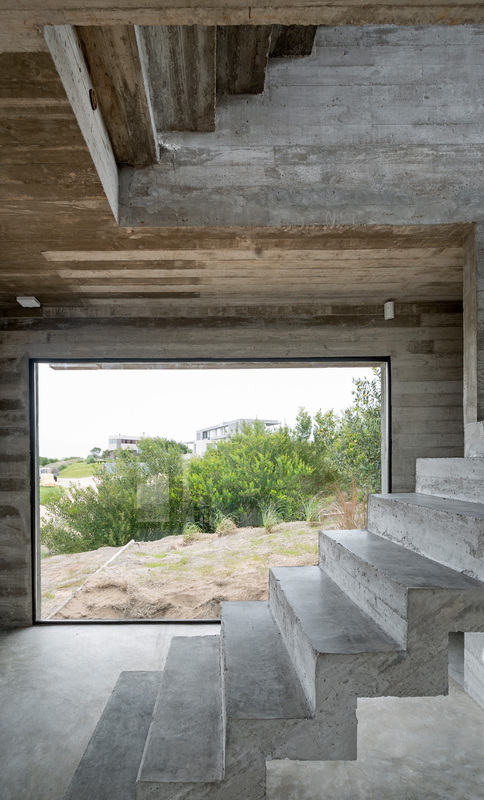 Letterbox windows frame the surrounding area. 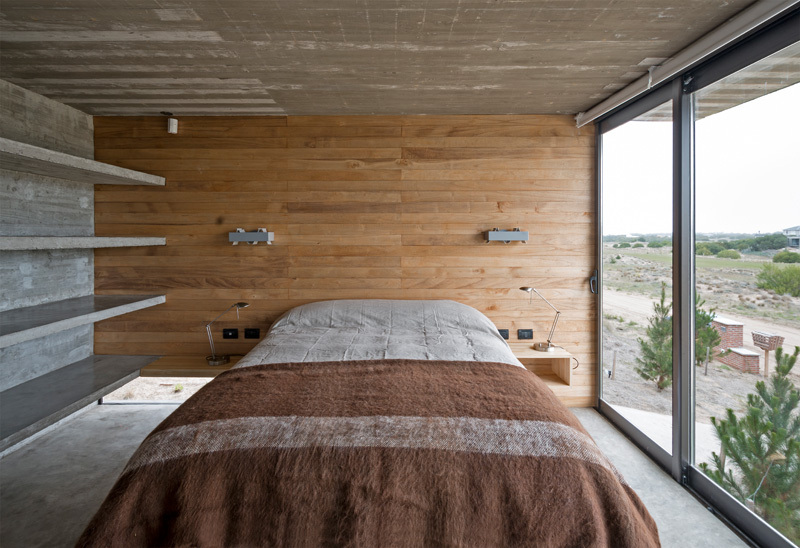 Wood feature walls can be found in each of the bedrooms. 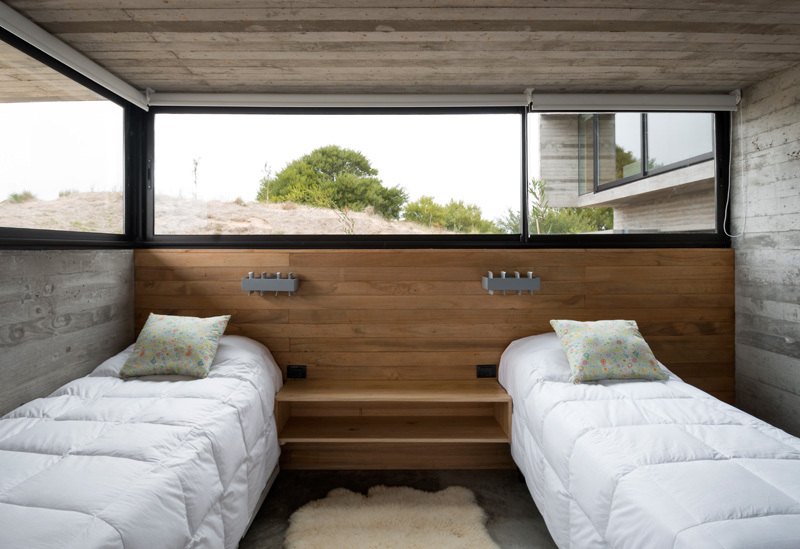 A smaller bedroom receives lots of natural light from the windows.